President's Blog: Hey, did you hear that? I am overwhelmed by the support of the media and the interest of the public in our organization. As I wrote in my last Granger article our organization is one that is built on a solid foundation that has been in place since 1885 here in CT.
Granges today are giving time and talent to their communities to better the towns and cities they live in. It is one of the fundamental efforts of the Grange to enhance and improve rural life. The Grange does that, our members gave almost 100,000 hours of themselves to their communities and to their neighbors; through small projects like food baskets to families who needed them to larger projects like making sure over 2,500 third graders in CT have a dictionary. 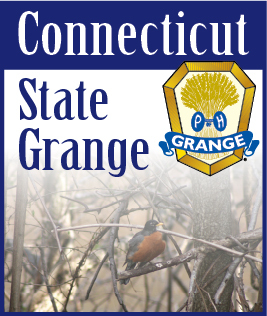 Go to http://www.ctstategrange.org/ and see if there is a Grange in your community, if not how about we start one?